CBSE Class 10 English Language and Literature syllabus, issued by CBSE for new academic session, 2019-20, is provided with this article. Here you will also get acquainted with the question paper design and format of questions to be asked in class 10 English paper. CBSE has released the syllabus/ course structure for all subjects of class 10. Students, who have entered the class 10, must start with the thorough understanding of the CBSE curriculum and then go down with the course to achieve success in their first board examinations. With this article, students may read and download the CBSE Class 10 English Language and Literature syllabus for the new academic session, 2019-20. Note: The annual examination will be of 80 marks, with a duration of three hours. There will be internal assessment for 20 Marks. 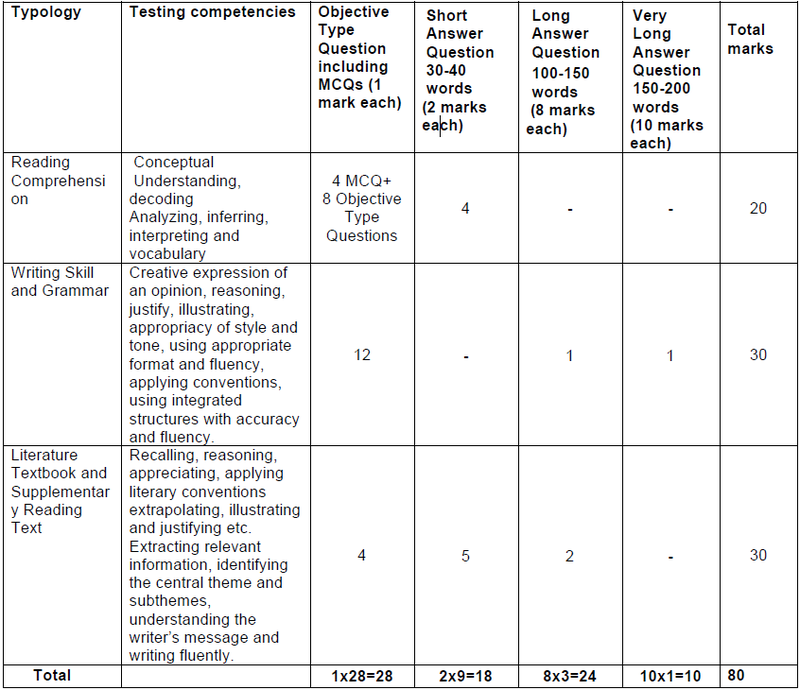 Assessment of Listening and Speaking Skills will be for 05 marks. It is recommended that listening and speaking skills should be regularly practiced in the class. Art-integrated activities like role-play, skit, dramatization etc. can also be used. (iv) Continue the Speaking and Listening activities given in the NCERT books.